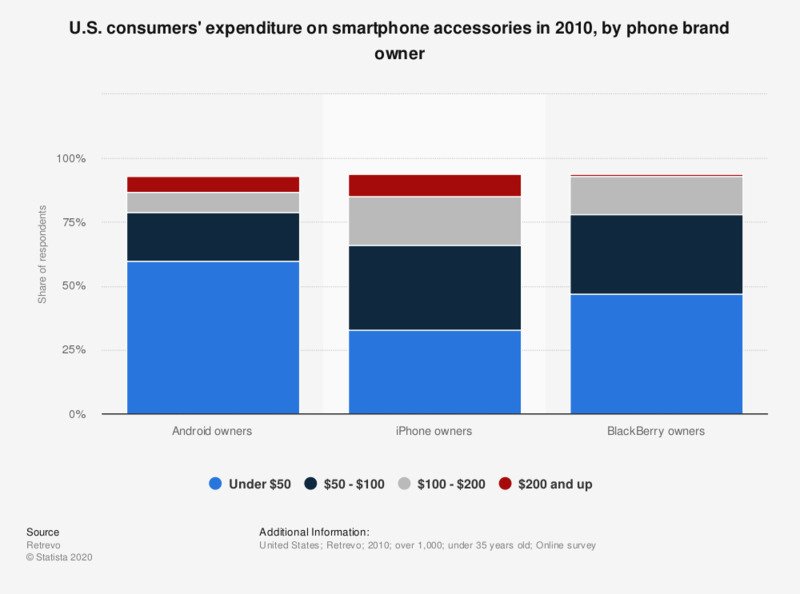 This statistic shows the results of a survey conducted in 2010 in the United States asking smartphone users how much they have spent on accessories for their cell phone. The survey revealed that 60 percent of Android owners spent under 50 U.S. dollars on accessories for their mobile phone. The original question ran as follows: How much have you spent on accessories for your cell phone? Do you agree with Minister of University and Research Fedeli allowing smartphones in the classroom as aids in learning?